Whether you are launching a marketing campaign, refreshing your brand or promoting an upcoming event, make an impact with large format graphics from SpeedPro Imaging. SpeedPro Imaging in Lombard, Illinois, takes beautiful images and turns them into BIG beautiful images. Our work includes simple print jobs as well as complex projects requiring design assistance, die cutting, routing and installation. Whether you need a single banner or a complete trade show system, SpeedPro Imaging will work with you to produce the perfect printed solution. Think of us as an extension of your marketing team. We collaborate and cooperate with our clients to understand their objectives and provide the best product for their businesses or their clients. At SpeedPro Imaging, we emphasize friendly service and strive to be easy to do business with. Our clients return repeatedly because we promptly respond to questions and concerns, pay close attention to detail and meet deadlines. We provide quick turn-around as a rule and can adjust to moving targets. Installation, shipping and delivery services are available as needed. 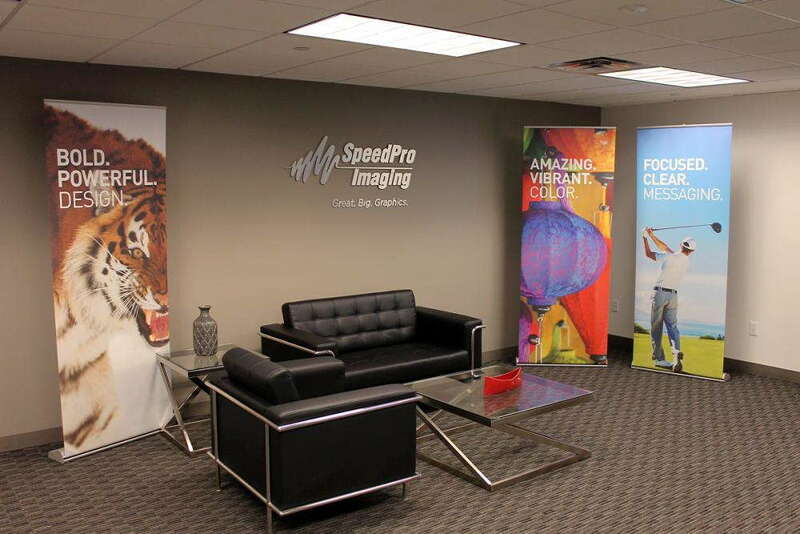 SpeedPro Imaging DuPage serves Chicago’s western suburbs, including Lombard, Downers Grove, Lisle, Oak Brook, Naperville and the rest of DuPage County. We are conveniently located in Lombard off Finley Road near the Butterfield Road exit of I-355. Since our studio opened for business six years ago, we have established long-lasting partnerships with area businesses and organizations of all sizes. We also stay connected with the business community as an active member of Chamber 630 and the Naperville Area Chamber of Commerce. Give us a call to request a quote for your Great. Big. Graphic needs.